When the colder months of the year are just around the corner, there are certain things that you should do to prepare your horse for the upcoming season. From keeping them healthy so that they’re more comfortable during the fall and winter months, to making sure their coats are being maintained properly, there are specific care tips you need to follow to make sure your horse is ready for the cold. Here are a few horse care tips for the fall you should take into consideration. Make sure they’re hydrated – Making sure your horse is properly hydrated is something that should be done all year round. However, it’s extremely important once the temperatures drop. Once things get colder outdoors, horses reduce the amount of water they drink because it becomes less appealing to them. If they don’t stay hydrated, this could increase their chances of colic, so make sure their water supply is always clean and filled. 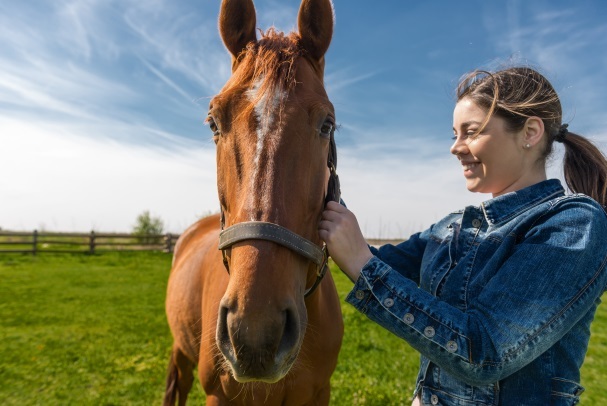 Patch any issues with your barn or stable – Since your horses will not be out in the pasture during the colder months, it’s important that the stable or barn they’re being housed in is adequately maintained. This means that before temperatures drop, you should patch any holes in the barn’s roof and doors. Fixing any leaks or openings in this area not only protects your horse, but it also protects your hay, feed, and other important equine care materials from being damaged. If you’re looking for horse mortality insurance, do not turn to anyone else but Ark International Group. For more information regarding our insurance services, contact us today at (800) 328-8894.